This year I was fortunate enough to cover the entire Swift Current Indians season. It was a journey that spanned from the top of Telus Field in Edmonton to the rustic score keeper boxes of Pirie Field in Melville. It was a privilege to see every team, every ballpark, every promotion and every bit of the game day experiences from around the WMBL. If you want to know who the best players in the WMBL were this year, click here. This is a 'best of' list of the things that surround the great game. Myself and my wife and camera person Christina pondered and debated this list at great length. I would advise any baseball fan to do a WMBL tour and hit each of the ten venues within the league to see what makes the WMBL truly special. 1. 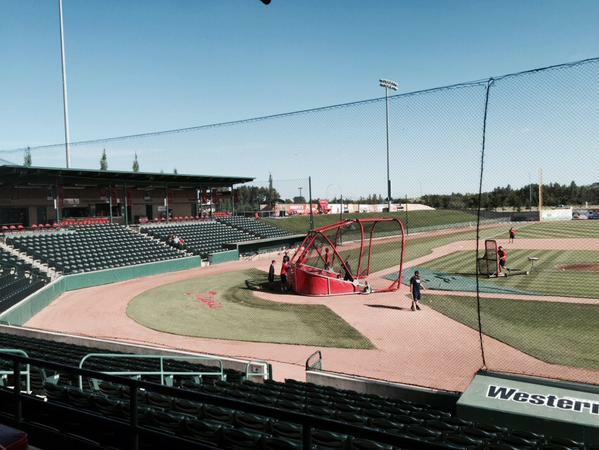 Best Stadium: Seaman Stadium, home of the Okotoks Dawgs. This is a two horse race. On one hand, there is the gigantic Telus Field in Edmonton. Built in the 1990's to host professional AAA baseball in the Alberta capital, Telus Field is the second largest baseball stadium in Canada. Telus sports a seating capacity of 10,000. 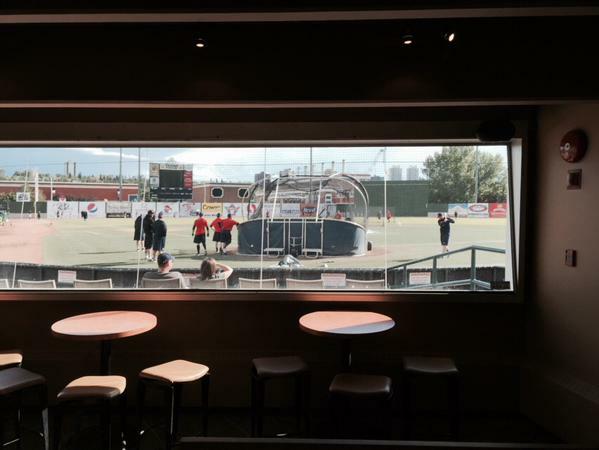 A home plate lounge, luxury suites, scenic views of Edmonton and a dynamite concession (more on that later) give fans an experience similar to attending a minor pro game. However, the size of Telus field works against it. The Edmonton Prospects draw crowds close to 1,000. That would be huge in most WMBL markets, but makes Telus Field appear mostly empty. While the Prospects drew 7,000+ for Canada Day, the mastadonic stadium remains less than 1/5 full for most of the season. 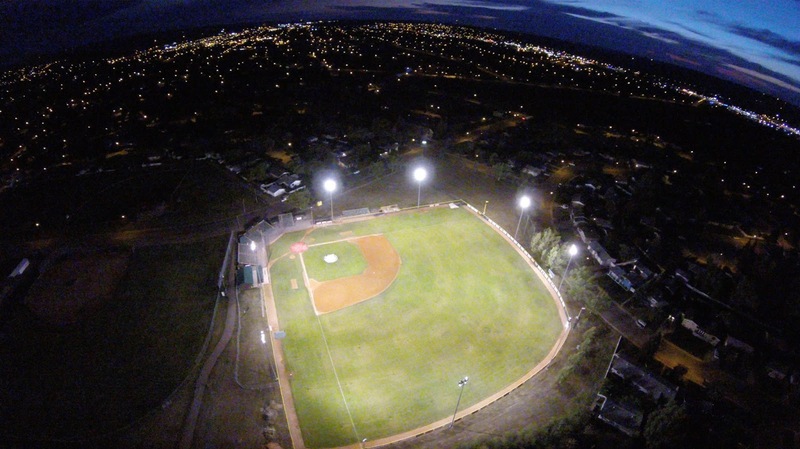 Seaman Stadium in Okotoks is a ball park designed to be the crown jewel of the WMBL. A venue that comfortably holds 3,000 people, the Okotoks Dawgs draw from the community of Okotoks and the massive metropolis of Calgary which is just minutes to the north. Crowds in the thousands are routine in Okotoks. A great sound system, beautiful ballpark, numerous concession items, bar stools and counter high tables around the seating area give the Dawgs the title for best ball park. If you're a sports fan and able to get to Okotoks during the WMBL season, you owe it to yourself to go there. Spitz Stadium in Lethbridge is a tough park to win in. The Bulls are always competitive on the field, and in the stands Lethbridge has a smattering of world class hecklers. The fans in Lethbridge have got in the heads of opposition players and have factored into the outcome of games. Coaches from around the league are reading this piece and yelling 'don't encourage them!' at the screen. The Edmonton Prospects are gaining ground on the Bulls in this category and may take the belt next year. The Regina Red Sox faithful can get in the minds of visiting teams too, but the best 10th man in 2015 goes to Lethbridge. Honourable mention to the supporters of the Melville Millionaires. The Mils play in a market of 3500 people and need community support to stay alive. The town supports their Mils and easily draws the most fans per capita in the league. Melville and Yorkton would share the award for 'nicest fans' as well...even though they aren't nice to each other. 3. 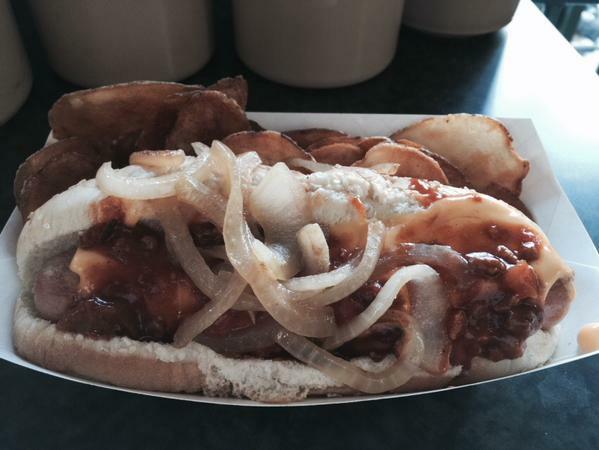 Best Concession Item: The Prospect Dog in Edmonton. Take a large hot dog, cover it in melted cheese add chili and onions and serve with cactus cut potatoes. Voila, you have the primo concession item in the WMBL. The bacon & ranch dog in Regina (hot dog with bacon and ranch) and boom stick (foot long hotdog) in Lethbridge are the close runner ups. The pulled pork in Medicine Hat is also dynamite. Unsightly weeds, dead grass and an unkempt infield can make life tough on players and make fans feel like they are watching a beer league game. Mitchell Field in Swift Current continues to provide WMBL players with the best playing surface in the league, which is also the nicest for fans to look at. Mitchell Field also has the brightest lights which illuminate the surface perfectly for night games. Outfielders can get a tan from the lights on 19th avenue in Swift Current. It is worth noting since Seaman Stadium in Okotoks stopped hosting as many minor ball games due to construction of adjacent fields, their field has improved incredibly and with more senior teams getting time on Mitchell Field, Okotoks may dethrone Swift next year. Players for the Mavericks get involved in this contest. A sling shot is used to fire tennis balls a hundred feet in the air. Contestants wear hip waders and try to catch the balls with a fishing net. It is visually impressive and always entertaining. No other promotion in the league touches it for entertainment value. Zip ahead to 1:35 in the video below to see this promotion in action. The Dizzy Bats in Swift Current get the runner up prize. Contestants spin themselves dizzy on bats and have a foot race. Hilarity ensues. The right music/sounds at the right time over the PA system can dramatically increase the emotional investment in the game for a fan. No one in the WMBL understands this more than Kim Johnston in Medicine Hat. When there's two strikes against a visiting hitter, the suspense is upped with the right sound effects. When the crowd is rocking after a home run, a good pumpin' tune always accompanies. A controversial call from the umpire? The Hat is always ready with the right selection to bring emotion out of the crowd. The 20+ year radio vet is also the most pleasant announcer in the league to listen to. Honourable mention to the PA/Music crew in Moose Jaw who have two solid announcers in James Gallo and Chris Rasmussen and always play great tunes at Ross Wells Park. The game day experience begins the moment you exit your car at the ball park and ends the moment you drive away. The Okotoks Dawgs lead the league in this category. You exit your car in a well laid out parking lot with no spots too far from the field. You enter a stadium that is only 8 years old, yet you feel like you are walking into a park with 100 years of winning tradition. The concourse is nicely laid out for fans to access souvenirs, concession, each team's lineups,washrooms and a wide assortment of beverages. Whether you enjoy the game from a regular stadium seat, a bar stool or the grassy knoll area down the 3rd base line, the views are great. There are elderly men dancing to YMCA, mascots firing up the crowd and kids can run the bases after the game. Okotoks gets the crown for the best bang for entertainment dollars. The Dawgs can't get complacent though as Lethbridge, Edmonton and Medicine Hat are getting better each year and starting to nip at their heels. Watch the video below at the 58:50 mark to see Edmonton's cheerleaders. Besides watching a ball game, what extras do the teams offer? An in-stand person with a cordless microphone? Between inning activities? The best value added extra in the league are the Edmonton Prospects Cheerleaders. A cheer team that could rival what some CFL teams bring in terms of cheerleaders and their uniforms; the crew in Edmonton add a well presented element in the WMBL. While the casual baseball fan doesn't give a rip how nice the people presenting the game are, it was big for Christina and I. 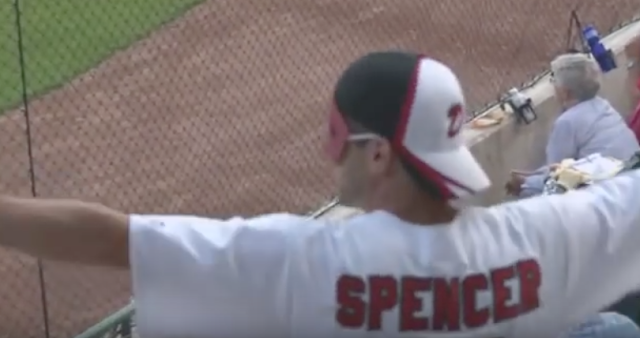 No one was downright rude, but a visiting play by play guy isn't the norm in the WMBL. Some are more welcoming than others. It isn't always easy to jam a camera person and a play by play guy into an already crowded scorekeepers box. As is evidenced by the three way tie, it wasn't easy to narrow this choice to one and quite frankly any team on any day could win this one. Thank you Yorkton, Regina and Lethbridge for making us feel at home. We look forward to being back in all the parks next year. If you have traveled around the leage and disagree with our assessment, please leave a comment!